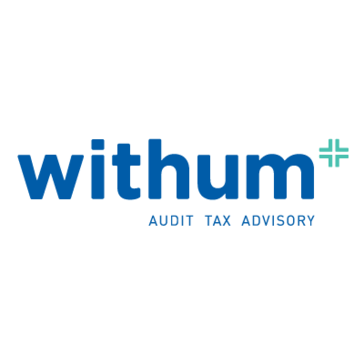 WithumSmith+Brown is a firm that empowers clients with innovative tools and solutions to address their accounting, tax and consulting needs it offers deep industry expertise and service experience to help clients grow and thrive to Be in a Position of Strength. What Accounting Firms solution do you use? PwC provides industry-focused services for public and private clients. Sikich LLP is a firm that help middle market companies by providing services including accounting, tax, advisory, managed services, ERP and technology. Andersen Tax provides a wide range of tax, valuation, financial advisory and related consulting services to individual and commercial clients. Accountingprose is an accounting service that offers full charge bookkeeping and payroll service using Xero as the accounting platform. Rehmann is a fully integrated financial services firm of CPAs and consultants, wealth advisors and corporate investigators. Grant Thornton is a firm that offers three main service including Audit/Assurance, Tax and Advisory to help organizations pursue growth holistically whether through revenue improvement, leadership, mission fulfillment, or innovation. Dixon Hughes Goodman LLP is a public accounting firm that provides accounting, advisory and tax services to public and private companies. Kemper CPA Group is a firm that provides services including Accounting, Audit & Tax, Payroll, Technology and Wealth Management to help client discover and make the most of opportunities for growth and long-term success. Wald & Company, P.C is a firm that provides accounting, tax, audit, and consulting services for corporations, entrepreneurs, emerging growth companies, and individual clients. Munro & Partners is a boutique accounting and commercial advisory firm located on the Gold Coast, Queensland, Australia. * We monitor all WithumSmith+Brown reviews to prevent fraudulent reviews and keep review quality high. We do not post reviews by company employees or direct competitors. Validated reviews require the user to submit a screenshot of the product containing their user ID, in order to verify a user is an actual user of the product. Hi there! Are you looking to implement a solution like WithumSmith+Brown?